Schools play an important role in the life of every child. Special schools cater to the needs of differently abled children who struggle with severe learning difficulties, physical disabilities. Special schools in Karnataka are staffed and resourced in an appropriate manner so as to address the additional needs of these children. Karnataka has a large number of special schools. They focus on making differently abled children independent and acceptable to the society. These schools strive to develop self-confidence, social skills and interpersonal skills in the children. 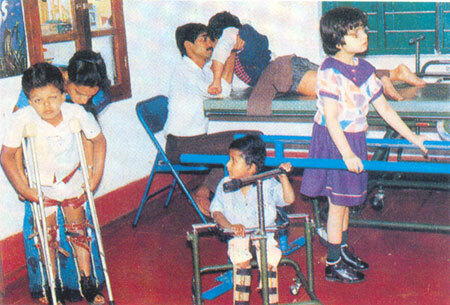 The schools act as the educational and developmental anchors of the differently abled children. The special schools have trained teachers to impart education to the children. Generally such schools ensure that teachers provide instructions to individual students or small groups of students so that their needs can be addressed in a proper manner. Many of the special schools provide opportunities for their students to gain computer skills and vocational training that suits their special abilities. Extracurricular activities also form a part of the educational course in such schools. In other words, the special schools try to provide all the learning opportunities to a child that will help the child grow and develop into a confident human being. There are special schools for differently abled children in a number of towns and cities in Karnataka. Some of these schools are run by the Karnataka government while some are run by non-governmental organizations or non-profit organizations. Some of the special schools are extensions of well-known schools and are managed by the school managements.